South Kalimantan (Kalimantan Selatan, often abbreviated Kalsel) is on the Indonesian side of the island of Borneo. -31165 Kotabaru-an island city in the south eastern of Kalimantan selatan which has many small islands, pristine beaches, and good spots for fishing, snorkling and diving. By land area South Kalimantan is the smallest province in Kalimantan but the capital province (Banjarmasin) is the largest city in a whole Kalimantan. There is no active volcanoes in South Kalimantan. Its highest peak is Gunung Besar with 1,892 metres. The biggest outlying island is Pulau Laut (Sea Island) located in Kotabaru Regency. The major ethnic is Banjarese, with some small ethnic of Dayak and Bugis. South Kalimantan is the origin of Austronesian peoples who arrived in Madagascar between the 3rd and 10th century, and are most closely related to Dayaks living near the Barito River although locals mostly don't know about it. Banjarmasin City - Without a doubt the heart of South Kalimantan province. Banjar Regency - Many travelers come here because its diamond and gemstones industry. Hulu Sungai Selatan Regency - Home to some Dayak Bukit people and gateway to Loksado and Nagara. Hulu Sungai Utara Regency - by land area, it's the smallest regency in South Kalimantan. Bahasa Banjar is the native's language in South Kalimantan although Bahasa Indonesia is widely spoken. English is not commonly used. Syamsudin Noor Airport, (BDJ IATA) is the biggest airport in South Kalimantan. Airline services are available from major cities in Indonesia (Jakarta (Soekarno-Hatta), Surabaya, Yogyakarta, Denpasar (Bali), Makassar, Balikpapan. For major cities, Syamsudin Noor Airport served by Garuda Indonesia, Batavia Air, Lion/Wings Air, Sriwijaya Air and Merpati Nusantara Airlines, and for small cities/town especially in Kalimantan served by Kal Star Aviation and Susi Air. The airport terminal has basic requirements such as ATM facilities, restaurant, cafe, and souvenir shops. The airport has a fixed fare Airport Taxi service. You will need to buy a taxi coupon at the stand just outside the arrivals hall. A taxi ride to Banjarmasin is about 45 minutes, to Banjarbaru about 15 minutes. Another alternative is to prearranged an airport pickup with your hotel. There are buses providing connections from Samarinda and Balikpapan in East Kalimantan, and from Palangkaraya, Sampit and Pangkalanbun in Central Kalimantan to Banjarmasin. The main bus/minivan terminus in Banjarmasin is located 6 km from city centre, hence the name of the terminus is Kilometre 6 Terminus, locals just call it "Terminal Pal Enam". 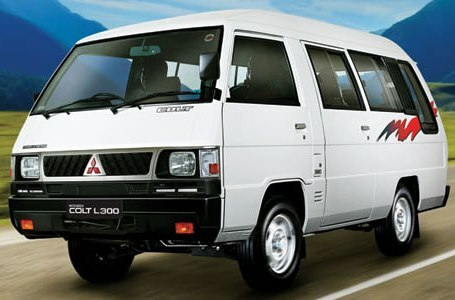 Taksi antarkota, is a name for inter-cities minivan (usually using Mitsubishi Colt L300 and its variants). All public transportation are using yellow registration plate. Taksi argo only available in Banjarmasin and Banjarbaru but if you are lucky you also can find it in Martapura. You can find taxi easily near by established hotels (such as Swiss Belhotel, Hotel Arum). Taksi kota usually only serve routes within the city. Banjarmasin, Banjarbaru and Martapura all have taksi kota. You can hail and stop it anywhere along the routes. The fare is based on how far you travel. To hail and to stop a taksi kota, just raise your hand and they will stop. When you're inside and want to stop, just say kiri (key-ree) or simply 'stop' out loud. You need to know the place you want to go. Make sure you have exact money to pay the taksi kota, handout to the driver when you get to your destination. Usually taksi kota drivers don't speak English. Taksi antarkota with orange color serve route Banjarmasin-Martapura via Banjarbaru, and vice versa. Taksi antarkota with colors other than orange serve other routes (such as Banjarmasin-Kandangan,Banjarmasin-Barabai). You can hail and stop it anywhere along the routes. The fare is based on how far you travel. To hail and to stop a taksi antarkota, just raise your hand and they will stop. When you're inside and want to stop, just say kiri (key-ree) or simply 'stop' out loud. You need to know the place you want to go. Make sure you have exact money to pay the taksi antarkota, handout to the driver when you get to your destination. Usually taksi antarkota drivers don't speak English. Becak (rickshaw or pedicab). You have to be good negotiator if you want to ride on becak, fare depends on the destination (near or far). It's a good choice for a short ride. Usually becak drivers don't speak English, but a map and lots of pointing will get you to the right place. You need to know the place you want to go. Ojeg is transportation by motorbike. You can find ojeg almost everywhere in South Kalimantan. Choose ojeg with spare helm for you, make sure they know the place you want to go and negotiate the fare before riding. Handout the money to the ojeg rider when you get to your destination. Usually ojeg riders don't speak English. Museums in Banjarmasin and Banjarbaru. Soto Banjar is Banjarese chicken soup served with rise or rise noodle. Islam is the religion of the majority of South Kalimantan, so alcohol (beer, wine, spirits) are not widely available. Fruit juices are plentiful, varied and delicious. Teh manis is tea with sugar. Bottled water is recommended, but if you can't find one, you should boil your own water. Mosquitoes can be abundant in some areas and cities, especially during the rainy season. Buy/bring some insect repellent. Consult your travel doctor about precautions against malaria. Get vaccinated and take preventive and curative medication with you before you go. Bring some maskers as peat and forest fires can be a problem, and will drastically reduced air quality, caused mainly by slash and burn techniques adopted by farmers as the cheapest and easiest means to clear the lands for traditional agriculture. Be prepared for drivers to violate traffic laws even to the extent of going in reverse on highways to back up to a missed exit or driving on a sidewalk. Also expect occasional road debris (a piece of wood or torn out tire) to be laying in the roadway. Be vigilant of your personal property and be aware of your surroundings. Be on your guard in crowded places such as markets, because pickpockets often steal wallets and cellular phones. Keep a close eye on your valuables and choose your transportation options carefully, especially at night. Be careful when crossing the street. Keep an eye on the locals and cross with them. Bring your own life vest as the jukung/sampan or speedboat doesn't provide it. Always use your right hand to offer or receive anything. Mosques are sometimes off-limits to non-Muslims. Inquire with someone at the mosque before entering and before taking any pictures. Cover your head and arms and legs, and take off your shoes before entering. Keep in mind that South Kalimantan sees only a tiny number of foreign visitors, and most locals will be genuinely curious about you, watch your every move and expression. Don't underestimate how impressionable some can be, make sure you're leaving good ones! This region travel guide to South Kalimantan is an outline and may need more content. It has a template, but there is not enough information present. If there are Cities and Other destinations listed, they may not all be at usable status or there may not be a valid regional structure and a "Get in" section describing all of the typical ways to get here. Please plunge forward and help it grow!